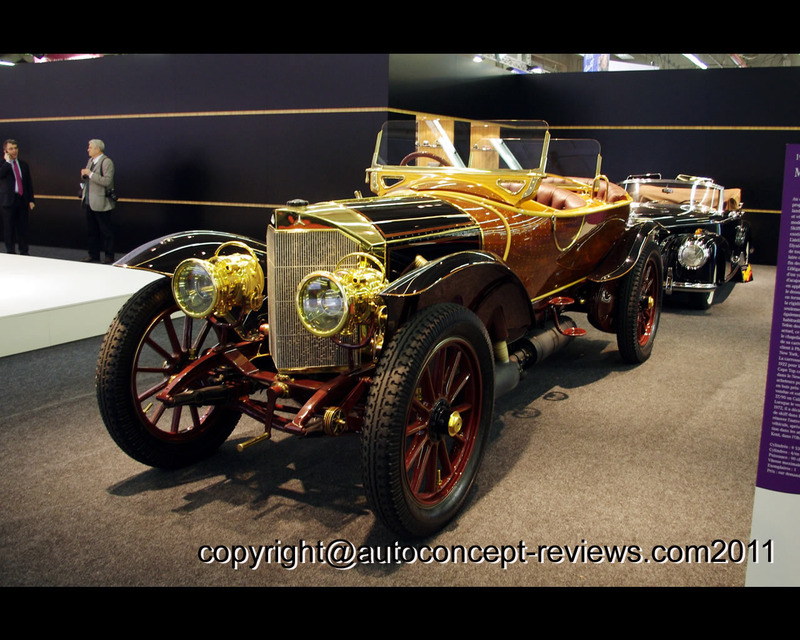 The Mercedes 37/90 hp was introduced in 1911 with a four cylinder engine with three valve yechnology (two exhaust valves and one intake valve per cylinder). The engine consisted of individual cylinders with a welded-on cooling jacket. The 9.530 cc engine produced 90 hp (66 kW) at 1.100 rpm. Maximum speed was 115 kph. 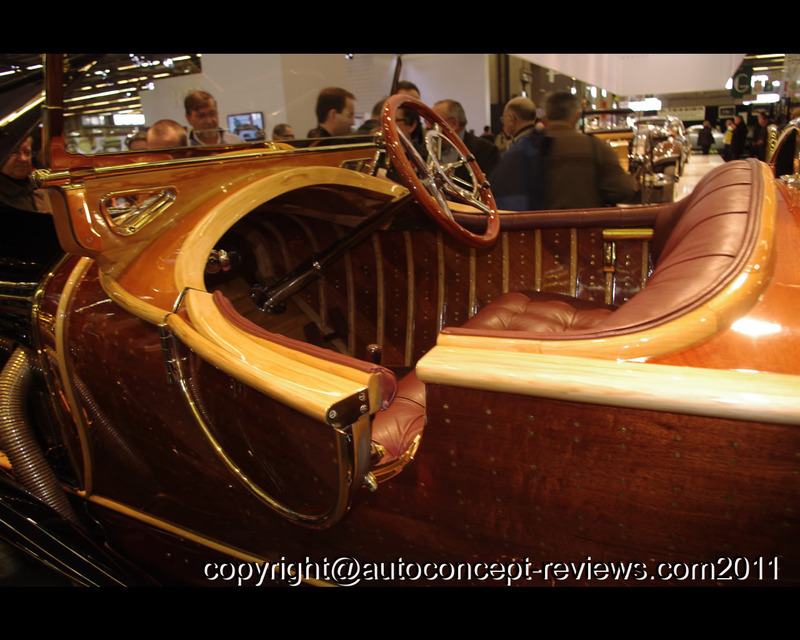 The car was proposed in different versions or as a chassis that could be completed by specialized coachbuilders. 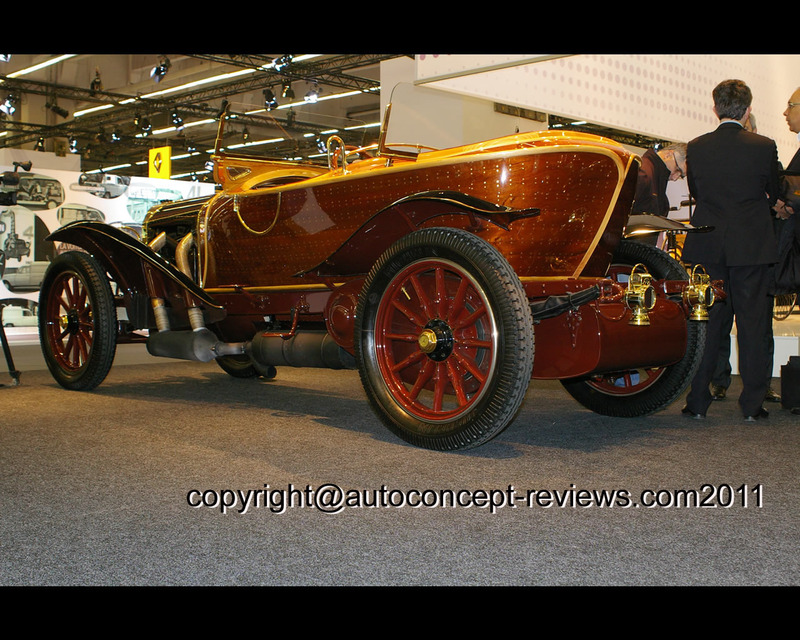 The Mercedes 37/90 hp was eventually entered in French Grand Prix in 1913 where Léon Elskamp came in seventh position. 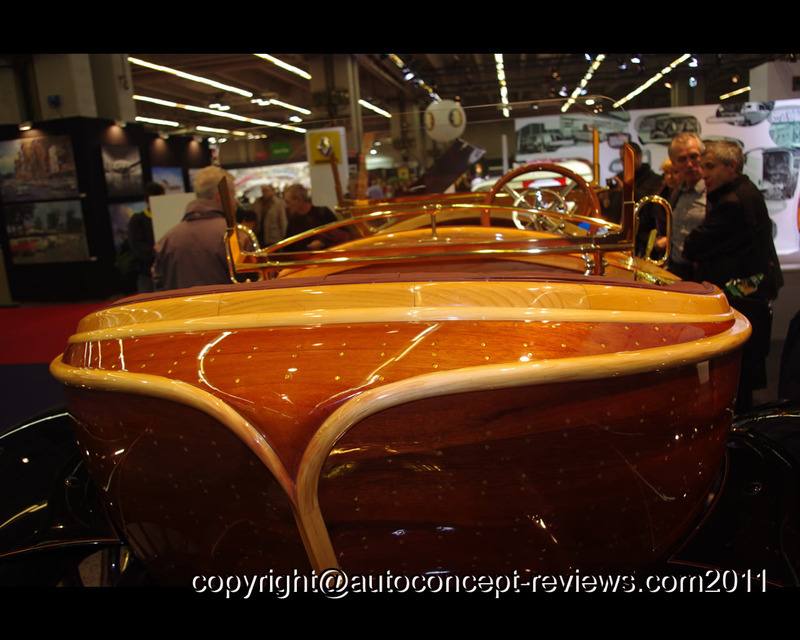 The Mercedes 37/90 hp Skiff exhibited at Retromobile 2011 is a unique model equipped with a bodywork inspired by luxury boat construction. The shape recalls the one of a boat especially around the driver and passenger's compartment at at the rear. It is made of three layer mahogany. There are only two small doors one on each side and access to the cabin is facilitated by steps on each side. 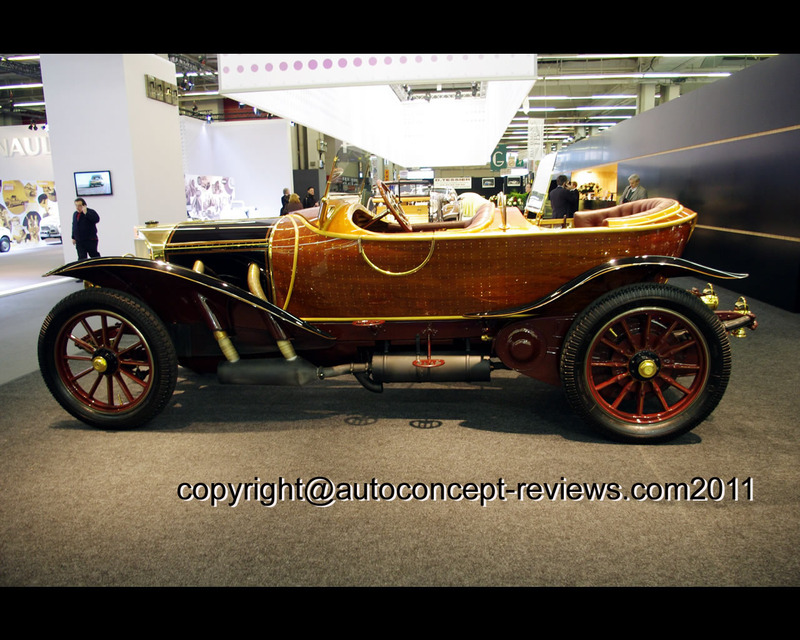 This particular automobile was ordered by Henty G. Stetson from Philadelphia, U.S.A.